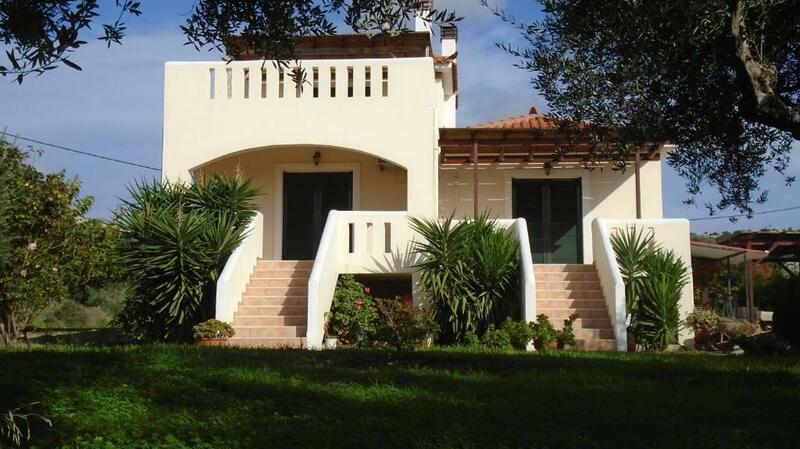 Perfect location near many beaches. 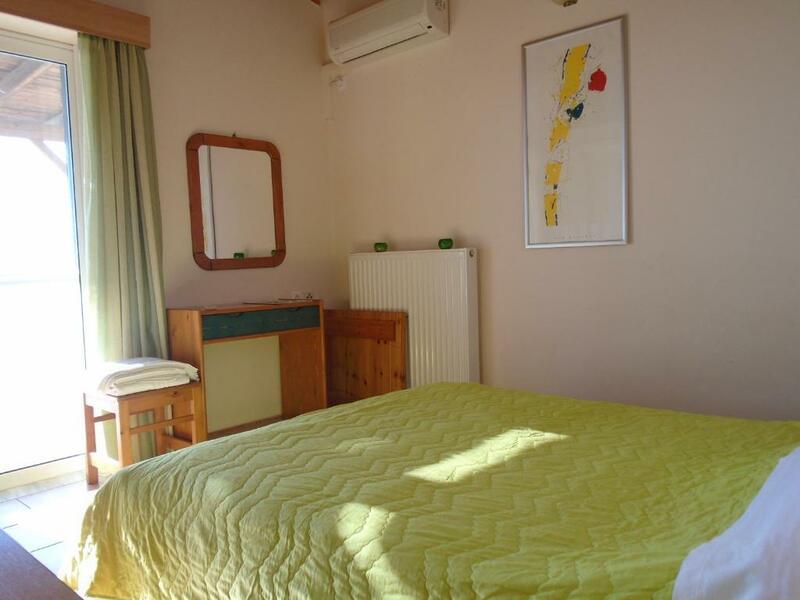 Closest is in 200 meters from the house Very friendly peoples Good equiped kitchen and nice bathroom Pretty stable and fast internet connection which covers all territory of the village A lot of place of interest arround, but car is mandatory. Отдыхали с женой в июне. Великолепное место для тихого семейного отдыха и не только, мало народу, отличный пляж. Очень приветливый и гостеприимный хозяин. Чистый уютный номер. В доступности, магазины, рестораны на берегу моря с вкусной местной кухней. Мы добирались на машине, поэтому каждый день исследовали окрестности, там есть на что посмотреть. Отдыхом остались очень довольны. Спасибо, Теодору, хозяину виллы. Ένα άνετο δωμάτιο με απόσταση περπατηματος 3 λεπτών από μαγική παραλία και ανθρώπους με χαμόγελο και διάθεση να σου κάνουν τη διαμονή σου μια υπέροχη εμπειρία. Дуже великі двух ярусні апартаменти, з великим балконом на другому поверсі. 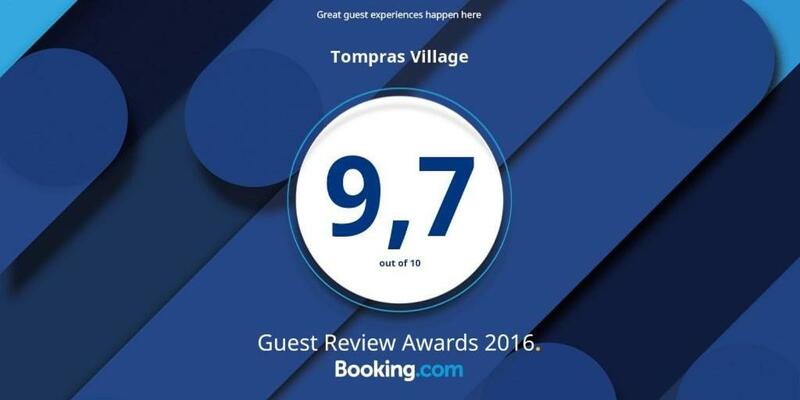 Lock in a great price for Tompras Village – rated 9.5 by recent guests! 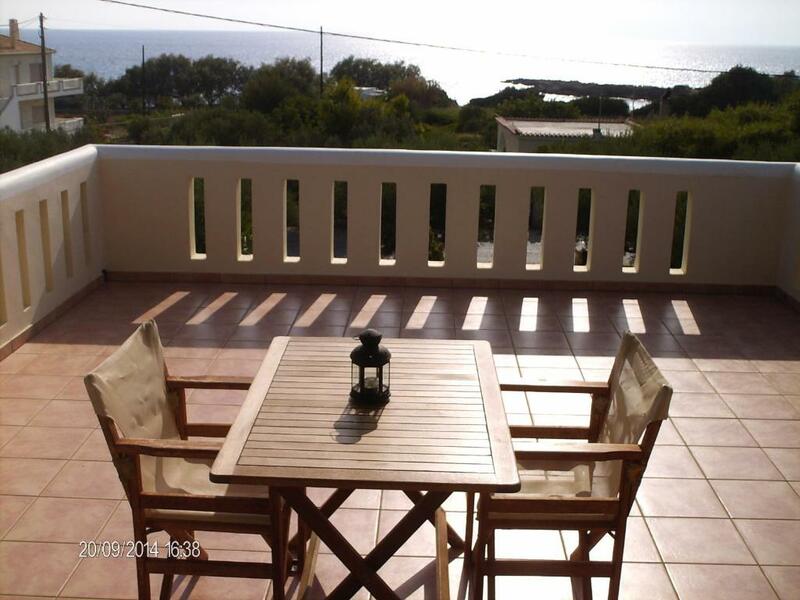 Located 350 feet away from the beach of Daimonia, Tompras Village offers self-catering accommodations with free WiFi surrounded by well-kept gardens. 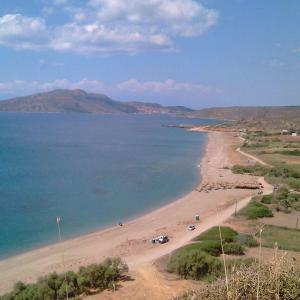 Within walking distance, you will find seaside taverns serving fresh fish and a café. 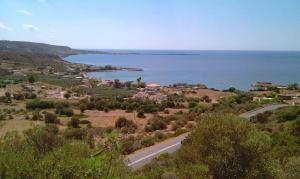 Tompras studios and apartments are spacious and air conditioned and enjoy sea, garden and mountain views. They include a kitchen fitted with fridge and a seating area with LED satellite/cable TV. In the private bathroom, you will find a hairdryer. Within 12 mi guests can visit the castle of Monemvasia, as well as the island of Elafonisos with its golden beaches. Kastania Cave and the town of Neapoli can be reached at 19 mi. Free private parking is available on site. 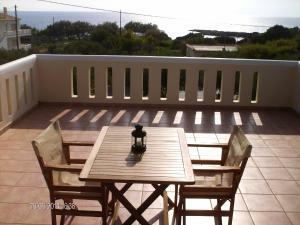 This property also has one of the top-rated locations in Paralia Demonias! Guests are happier about it compared to other properties in the area. 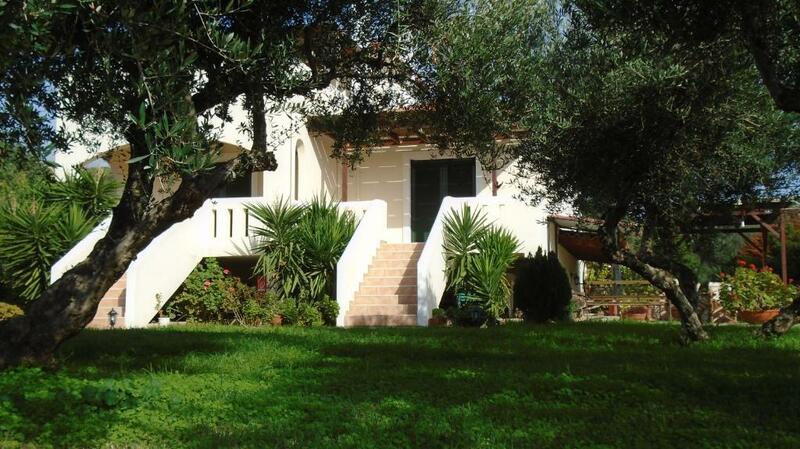 This property is also rated for the best value in Paralia Demonias! Guests are getting more for their money when compared to other properties in this city. When would you like to stay at Tompras Village? Spacious and air conditioned, this studio comes with a kitchenette, seating area with 29'' LED satellite TV and a private balcony overlooking the sea and the garden. Split in 2 levels, this air-conditioned apartment includes a fireplace, kitchenette and seating area with 29'' LED satellite TV. It opens out to a private balcony with sea and garden views. ΣΕ ΕΜΑΣ ΘΑ ΒΡΕΙΤΕ ΤΗ ΗΣΥΧΙΑ ΠΟΥ ΧΡΕΙΑΖΟΝΤΑΙ ΓΙΑ ΟΙΚΟΓΕΝΕΙΑΚΕΣ ΔΙΑΚΟΠΕΣ ΓΑΛΗΝΙΕΣ ΜΕ ΤΑΒΕΡΝΑΚΙΑ ΚΑΦΕΤΕΡΙΕΣ ΠΟΛΥ ΚΟΝΤΑ ΣΕ ΕΜΑΣ ΚΑΙ ΠΑΡΑΛΙΕΣ ΠΡΑΓΜΑΤΙΚΕΣ ΠΟΛΥ ΞΕΧΩΡΙΣΤΕΣ ΚΑΙ ΚΑΘΑΡΕΣ. ΓΙΑ ΣΑΣ ΕΙΜΑΙ Ο ΘΕΟΔΩΡΟΣ ΝΕΚΤΑΡΙΟΣ ΤΟΜΠΡΑΣ. ΣΕ ΕΜΑΣ ΘΑ ΒΡΕΙΤΕ ΤΗ ΗΣΥΧΙΑ ΠΟΥ ΧΡΕΙΑΖΟΝΤΑΙ ΓΙΑ ΟΙΚΟΓΕΝΕΙΑΚΕΣ ΔΙΑΚΟΠΕΣ ΓΑΛΗΝΙΕΣ ΜΕ ΤΑΒΕΡΝΑΚΙΑ ΚΑΦΕΤΕΡΙΕΣ ΠΟΛΥ ΚΟΝΤΑ ΣΕ ΕΜΑΣ ΚΑΙ ΠΑΡΑΛΙΕΣ ΠΡΑΓΜΑΤΙΚΕΣ ΠΟΛΥ ΞΕΧΩΡΙΣΤΕΣ ΚΑΙ ΚΑΘΑΡΕΣ. House Rules Tompras Village takes special requests – add in the next step! Tompras Village accepts these cards and reserves the right to temporarily hold an amount prior to arrival. Please note that guests may participate in a free traditional bread-making workshop in Talanta, every Sunday. Please note that 30% of the reservation should be deposited with 5 days. 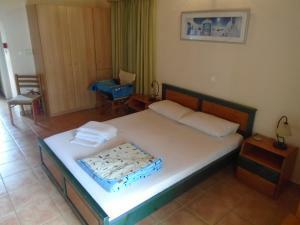 Please note that the property offers housekeeping service every 7 days upon guest's approval. Please inform Tompras Village of your expected arrival time in advance. You can use the Special Requests box when booking, or contact the property directly using the contact details in your confirmation.